Vanguard Academy ranks top in the Region and top 1% in the STATE! The 2018 Accountability ratings are in for the state! Vanguard Academy excelled in their overall performance as a district with an A plus rating of 96. Vanguard Academy also received the post secondary distinction designation. They were among the 61 out of 1200 school districts in the state who were recognized for this overall achievement. Please click here to read the full story! Vanguard Academy earned a “96” and “A+” rating making Vanguard Academy 1 out of 20 school districts in the state of Texas who scored either a “96” or “97” for their district’s overall performance. Districts earn an “A” (90-100) for exemplary performance when they serve most students well, encouraging high academic achievement and/or appropriate academic growth for almost all students and Vanguard Academy was only 2 points away from receiving the top score. Vanguard also earned a “92” out of 100 when it came to “Student Achievement.” This domain shows how much students know and are able to do at the end of the school year. In addition, Vanguard Academy scored a “95” out of 100 for “School Progress.” This domain depicts how students are performing over time and compares their progress to that of similar schools. “The Closing the Gaps” domain shows how well different populations of students in a district are performing. Vanguard Academy respectfully scored a “97” out of 100 in this particular area. Not only did Vanguard Academy score the second highest score in the state of Texas for their overall performance, but they also scored the highest in Hidalgo, Starr, and Willacy county. In addition, Vanguard Academy earned the post-secondary distinction as a school district. Only 61 school districts in the entire state of Texas received the post secondary distinction. Vanguard Academy is 1 out of only 9 school districts in the entire Rio Grande Valley to have received this award. Vanguard Academy still remains the number 1 district in Hidalgo county and the 2nd best district throughout the entire Rio Grande Valley. 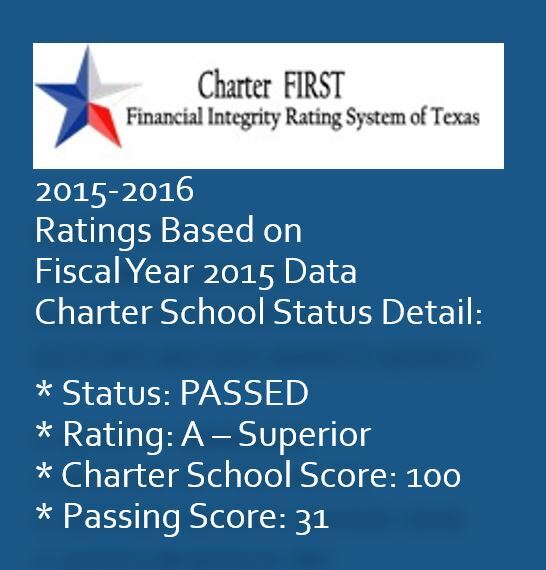 Vanguard Academy obtained the number 4th ranking as the fourth best charter school in the state of Texas, and 14th overall among 1200 school districts. On behalf of Vanguard Academy central administration and Dr. Garcia, Vanguard Academy Superintendent, we would like to congratulate and thank all students, parents, and teachers for their outstanding support and dedication in making Vanguard Academy a place where student achievement is priority and excellence is never out of reach. 1200 E. Kelly, Pharr, TX 78577 Phone: 956-781-1701 Fax: 956-781-8055 Vanguard Academy Charter School © 2019. All rights reserved. Vanguard Academy is committed to ensuring that our website is accessible to everyone. If you have difficulties accessing any information on our site because of a disability, please contact us.